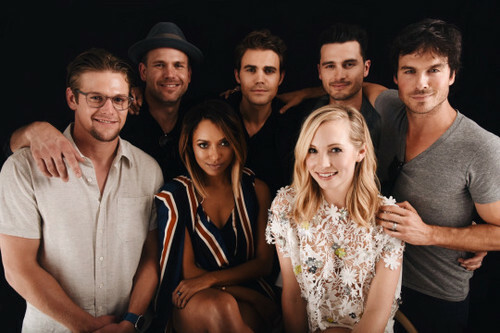 TVD Cast. . Wallpaper and background images in the The Vampire Diaries TV toon club tagged: photo the vampire diaries comic con 2016 kat grahma candice accola paul wesley ian somerhalder michael malarkey. NEW foto's FROM EW WEEKLY! New/Old Photoshoot for CH2 Magazine. [Candice Accola].